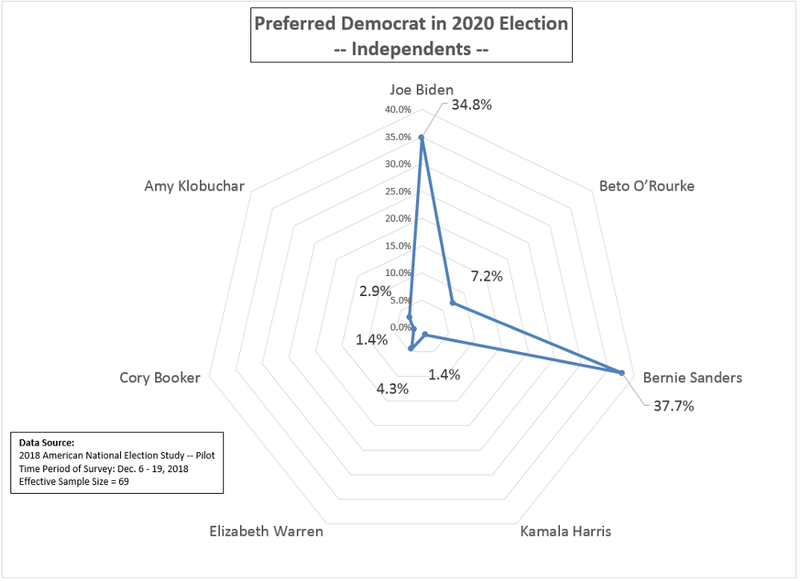 This is the first essay in a series dedicated to analyzing the U.S. eligible-voter population using the 2018 American National Election Study (ANES), an online survey administered in Dec. 2018 by researchers from the Univ. 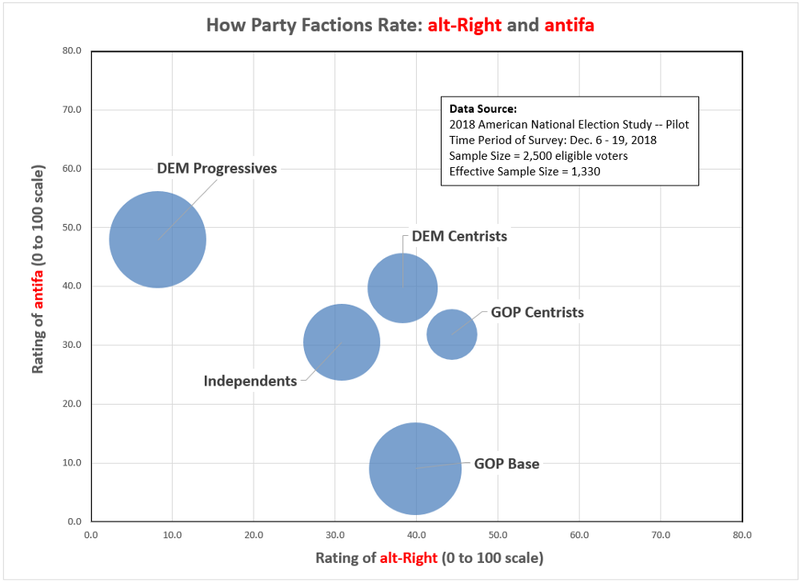 of Michigan and Stanford Univ. 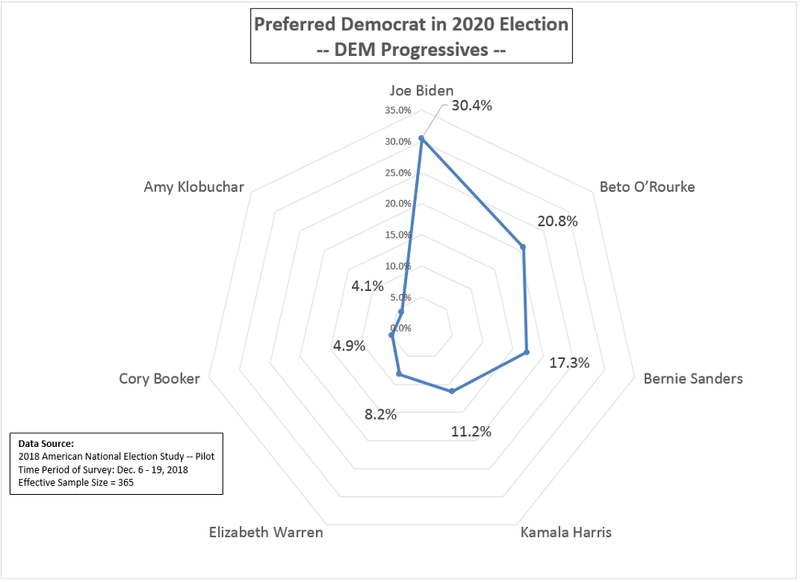 In some cases, the demographic variation in the eligible voter segments may elicit some surprise. 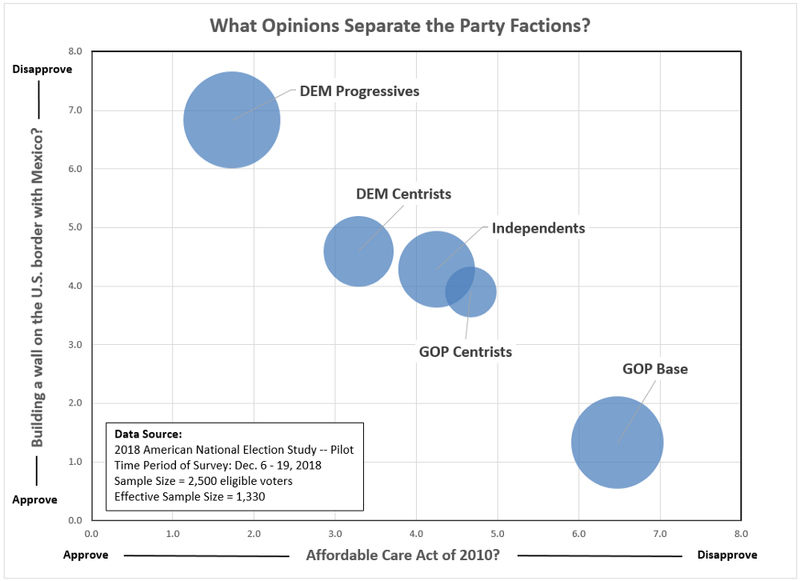 But not when it comes to describing the GOP Base, whichstands alone as predominately white and male (see Figure 3). 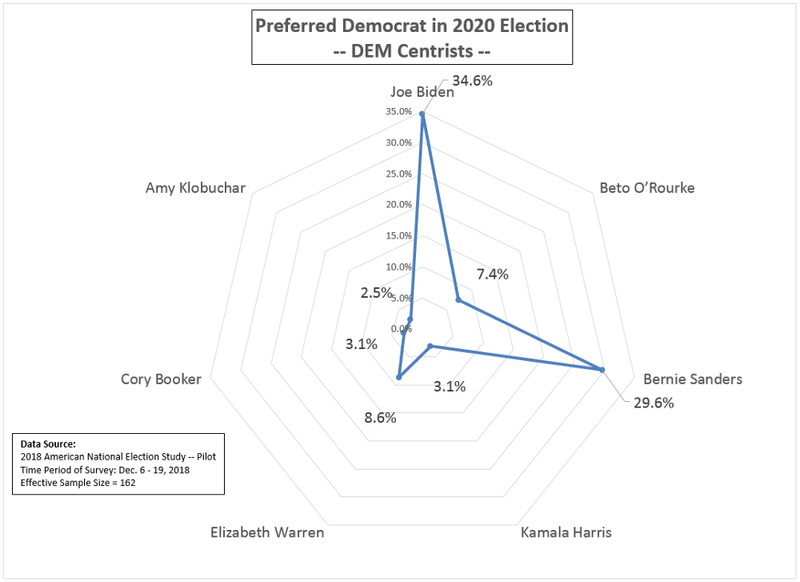 Every other segment is majority female, including GOP Centrists, where nearly 60 percent are female, a higher percentage than any other segment. 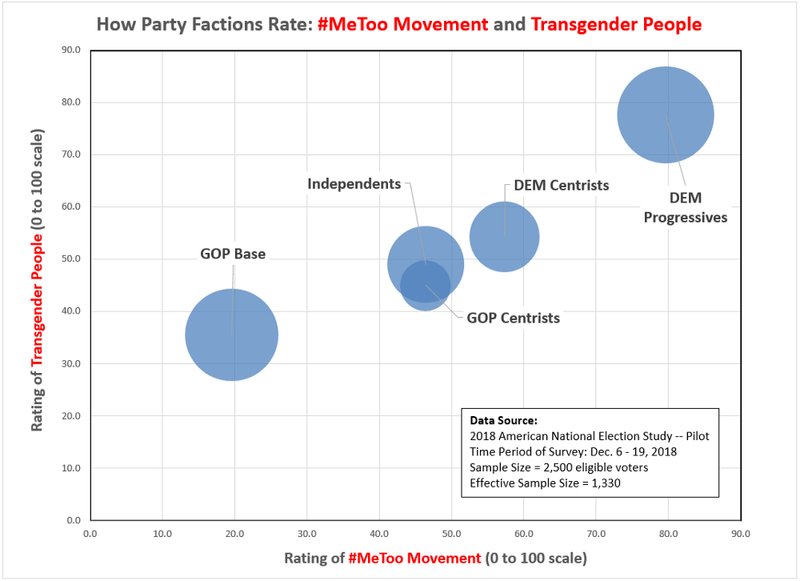 In fact, GOP Centristsare predominately young, white females and represent, arguably, the party’s greatest strategic weakness heading into the 2020 campaign. 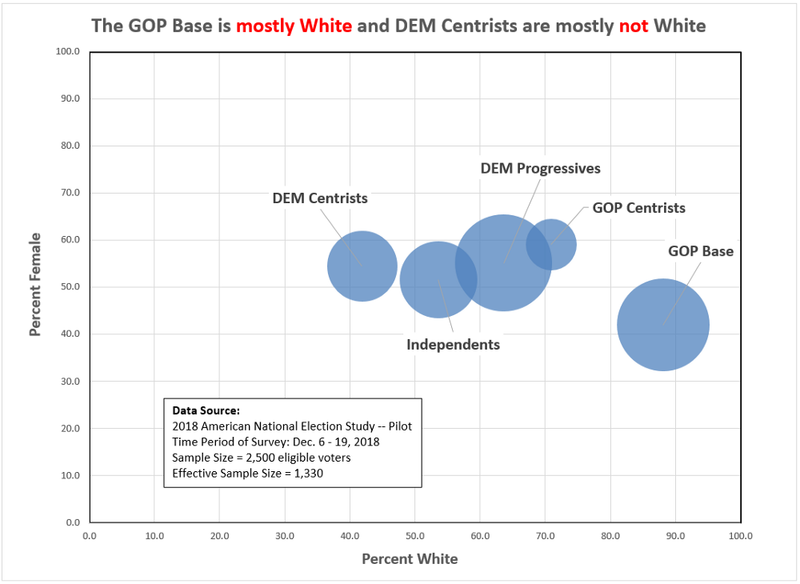 The most ethnically diverse segments are Democrat Centrists (30 percent African American, 22 percent Hispanic, and 5 percent Asian) and Independents (13 percent African American, 23 percent Hispanic and 6 percent Asian). 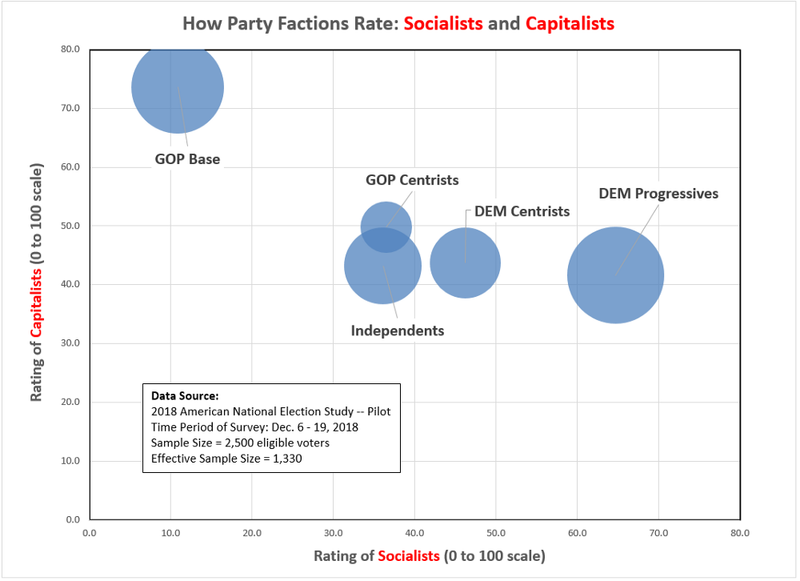 After the GOP Base, Democrat Progressives and GOP Centrists are the least ethnically diverse. 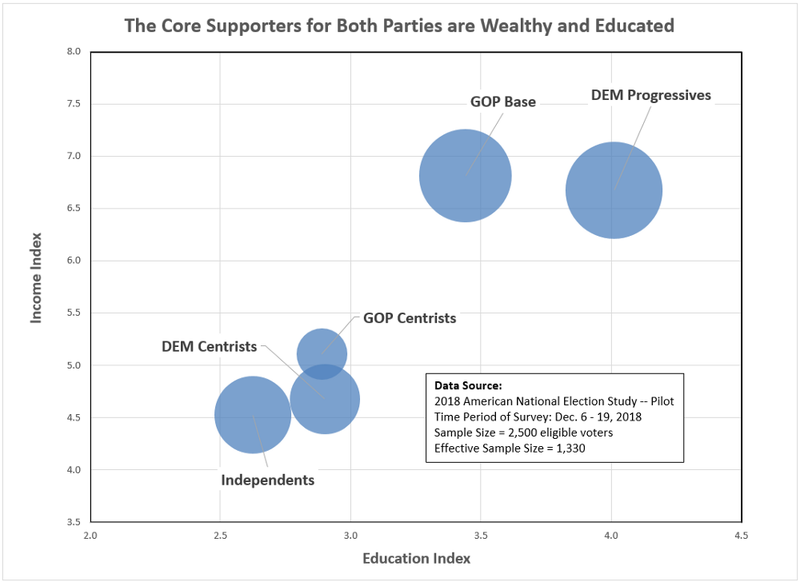 Indeed, a simplified description of Democrat Progressives might be to call them rich, middle-aged, educated, white people (see Figures 4 and 5). 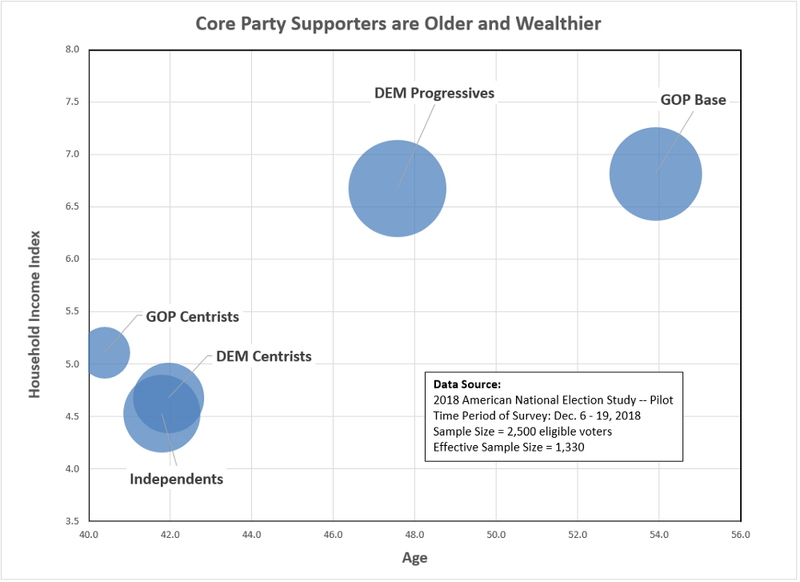 They are the second oldest and wealthiest segment, after the GOP Base, and the most educated. 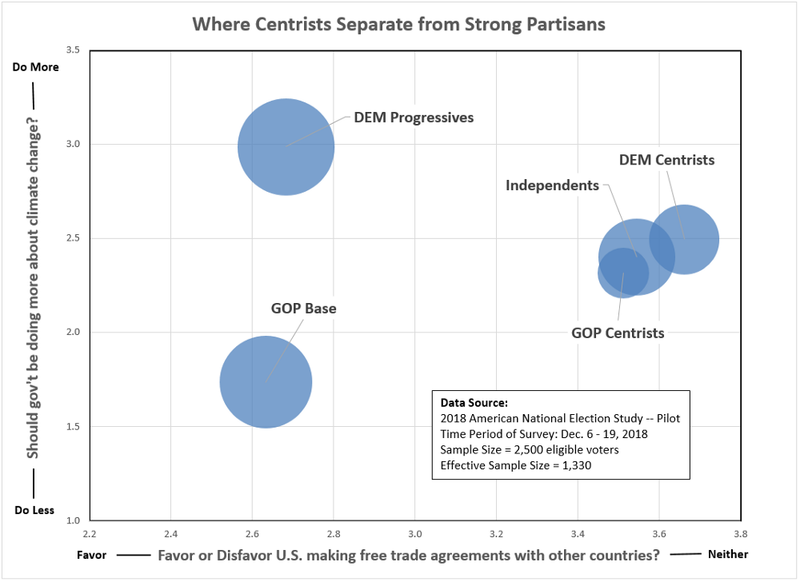 Centrists and Independents are equally distinctive in the other direction: poorer, younger and less educated.